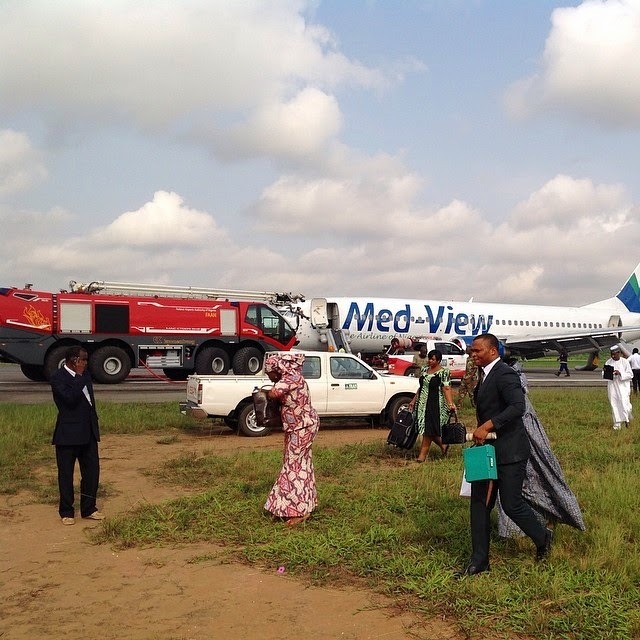 A Medview Airlines plane heading for Abuja this morning was made to have an emergency landing few minutes after it took off at the Murtala Mohammed Airport (MM2) today, Saturday, March 15, 2014. According to reports part of the engine of the aircraft caught fire and it had to quickly land to avert another air mishap. 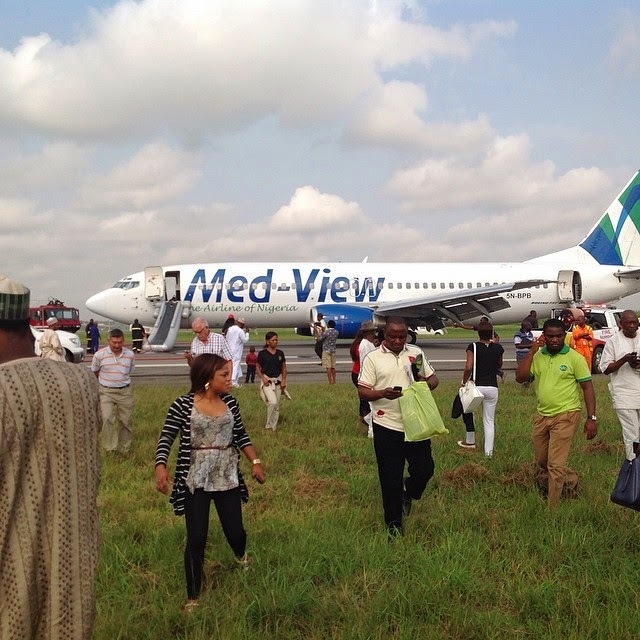 Among the passengers on board was former Ogun State Governor, Gbenga Daniel. more assignment to do 4d lord. Same engine issue exactly how I lost my dear Uncle John Nnadi to DANA.. I thank Almighty God for His saving grace.. Try changing your old birds as well. We have a poor maintenance culture, thus these air mishaps, even if an aircraft is old but it's routinely maintained, there wouldn't be problems, there are no parking lanes in the skies but the pull of gravity, the airline operators should hold this closely to their hearts . Doing the same thing every day and expecting a different result is the definition of insanity. The culture of "no maintenence, mediocrity, I go manage am so" rules Nigeria. If that don't chage, you can pray and thank God all you want but be prepared for another air mishaps soon. And iam not even TB Joshua. when u ppl take bribe ...blah blah blah.. who the hell is you people?? ?